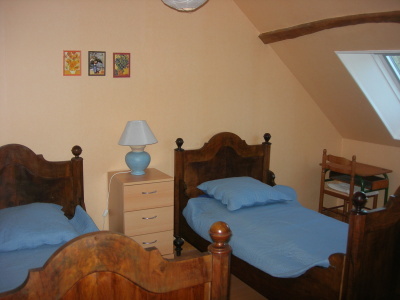 Les Hirondelles (Gîtes de France N°757) is a gîte occupying two floors – kitchen, dining room and living room on the ground floor ; 3 bedrooms and the bathroom are upstairs. The garden as seen in these photos (about 20m x 60m) is only for the use of this gîte so that you can really feel at home. The building dates from 1913 – we have completely restored it while keeping a maximum of original details (for example, the floor tiles and the old fire bricks). 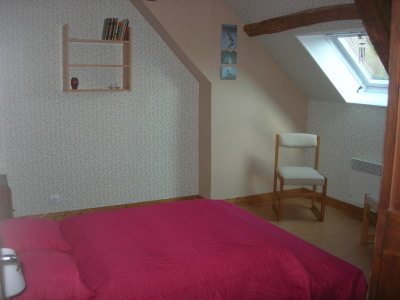 In the bedrooms we have tried to mix old and new furniture, so that the overall effect is not too “old fashioned” !